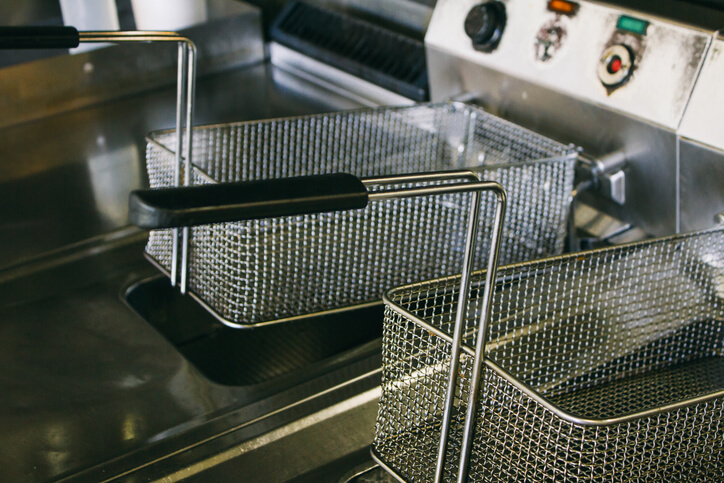 Foodservice businesses and restaurants rely on grease traps or grease interceptors for managing wastewater and fats, oil, and grease (FOG). Since fats, oils and grease are the leading cause of plumbing and sewer backups and overflows, it's important to understand how FOG forms and how to effectively manage it. Jones Plumbing & Septic Tank Service provides professional and licensed grease trap pumping and maintenance services. To schedule an appointment, call us today! Never put fryer grease and/or grill drippings down the drain. Clean up grease spills with paper towels and dispose of the used towels in the garbage. Wipe grease and food particles into garbage cans before washing pots, pans, and dishes. The No. 1 reason why you shouldn’t put FOG down any drain is because of the clogs that will form. It isn’t a matter of if, but when. Although fats, oil and grease may be liquids when they are poured down a drain, they will congeal and harden as they cool. This quickly creates buildup and the oils, fats and grease coat everything in the pipe as they pass. Once a clog develops, wastewater begins to back up in the pipe, creating a mess to clean. If you suspect FOG has accumulated inside your business's plumbing, contact Jones Plumbing & Septic Tank Service for professional grease trap cleaning service. Some businesses use a grease trap while others rely on a grease interceptor to remove wastewater. So what’s the difference? Both have the same function to stop FOG from entering plumbing but allow for different flow rates for wastewater. A grease trap is used for flow rates of less than 50 gallons per minute whereas grease interceptors handle more than 50 gallons per minute. Jones Plumbing & Septic Tank Service provides regular grease interceptor and grease trap maintenance service for businesses. Our technicians inspect, repair, and clean the trap or interceptor to prevent clogs from forming and creating a larger issue. Along with causing the problems discussed below, a buildup of FOG often creates an unpleasant odor. Having Jones Plumbing & Septic Tank Service regularly pumping grease traps is a great way to prevent odors and other types of problems from grease. If the drains and plumbing connected to the business’s grease trap don’t clog, the FOG moves on and can clog pumps at lift stations and treatment plants. Since lift stations and treatment plants serve many businesses, a clogged pump can create issues for others. Floats in a lift station tell the pumps when to turn on and begin moving the wastewater from the business’s plumbing to the main sewer line. But when a float becomes covered in FOG, it is unable to tell the pump when to start working. This can damage the pump and entire plumbing system as FOG continues to build and wastewater backs up rather than draining out. Bacteria which feed on FOG release hydrogen sulfide, a dangerous gas that becomes trapped in enclosed spaces such as underground sewer lines. This gas has a smell similar to a rotten egg. When mixed with water, it can corrode metal and concrete over time, causing an infrastructure failure. FOG cause problems for more than your business. One of the biggest culprits is pouring fryer grease and grill drippings into a grease trap disposal. An average week can produce hundreds of gallons of FOG — or more — in a restaurant. If poured into a drain, even with a grease trap or interceptor, the plumbing and treatment plant at the end of the line will become overwhelmed. As the FOG builds at the treatment plant, pumps and other components become clogged. This leads to costly repairs for the city and an offline treatment plant other businesses can’t rely on for an unspecified amount of time. Many cities and municipalities have laws against pouring fryer grease and grill drippings into a grease trap. Businesses that do so, if caught, face hefty fines and a diminished public reputation. Why Is Grease Trap Cleaning & Maintenance Important? According to Florida law, grease traps are required be pumped and cleaned every three months. Jones Plumbing & Septic Tank Service can assist in your compliance with Florida law while your system benefits from planned grease trap cleanings. When you contact Jones Plumbing & Septic Tank Service for grease trap pumping, you can be assured it’ll be cleaned according to local regulations and in an environmentally-friendly manner. Our technicians make sure the entire trap or interceptor is cleaned while inspecting it for any potential issues and repairs. Your daily business operation depends on a functional grease trap disposal. Don't let FOG get in the way, call Jones Plumbing & Septic Tank Service today!